Every new year, people resolve to improve their overall health, and often start with a trip to the dentist as well as the health club, reports the Academy of General Dentistry, an organization of general dentists dedicated to continuing dental education. “Many patients neglect their oral health for years, then schedule a dental appointment because of a new year’s resolution to improve their overall health,” says Joseph L. Perno, DDS, FAGD, president and spokesperson of the Academy of General Dentistry, who often sees an increase in new patients in January. For a healthy mouth, Dr. Perno agrees that maintaining a regular oral hygiene regimen that includes brushing twice a day, flossing, using a fluoride toothpaste and maintaining regular dental visits is the key to a healthy mouth, but there are some additional shortcuts and quick solutions to improve oral health. Don’t have time to brush? Rinse your mouth with water, it neutralizes acids and reduces bacteria by 30 percent. Using a straw when drinking coffee or tea prevents the liquid from touching and staining the front tooth surfaces. People don’t brush long enough to get the best results. The Academy of General Dentistry advises to brush for the length of one song (two to three minutes) which is the right amount of time to get the best results from brushing. Why? It improves the plaque removal technique. Frayed bristles do not clean teeth very well. Sick? Toss your current toothbrush more frequently since the bacteria and viruses will remain on the toothbrush and can serve to lengthen your illness. Nix the hot coffee and ice cream combo. Switching from one temperature extreme to the other can cause teeth to expand and contract, causing hairline cracks to develop. Gripping a toothbrush with the palm and applying heavy pressure to teeth can cause receding and inflamed gums, and erode dental enamel. Couples often possess similar dental habits. A person in good oral health is 5.4 times more likely to have a comparable partner. People tend to select spouses with some parallel dental behavior. Dr. Perno recommends small floss containers that you can carry in a purse or pocket when traveling. Keep an extra one in the glove compartment of your car. Chewing gum can triple the regular amount of saliva, which is nature’s buffer against cavities. It also helps reduce bad breath. 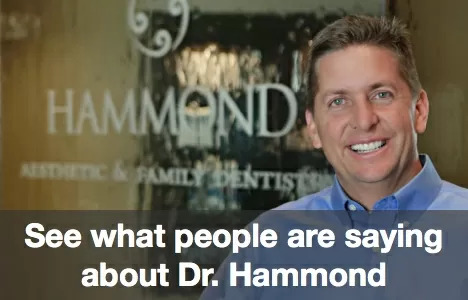 Research shows 85 percent of bad breath originates from the mouth and the tongue says Paul Bussman, DMD, FAGD, spokesperson of the Academy of General Dentistry. In addition to tongue scrapers, you can also use a spoon to scrape away the bad breath bacteria.